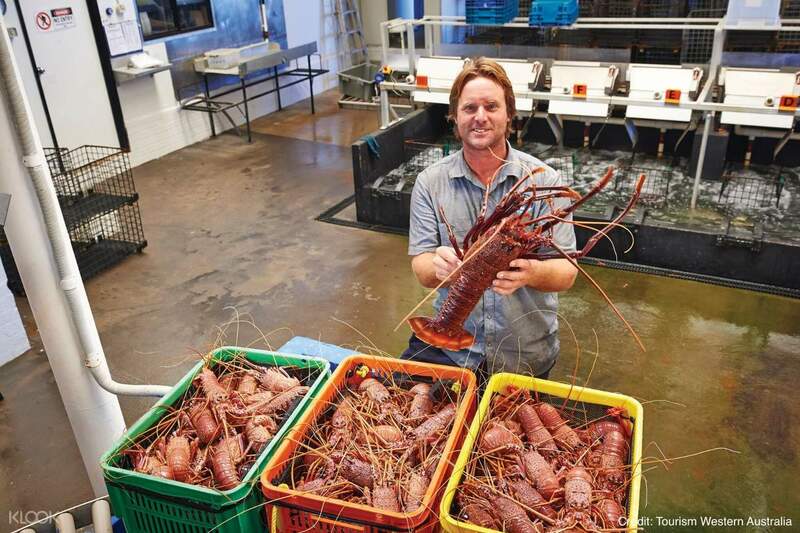 Tour the Lobster Shack factory, and enjoy a fish and chips lunch, or treat yourself to a lobster upgrade! The tour guide Carola is very nice and professional. The tour size (18 persons) is good. The time is good enough for all 4 attractions. It's a day tour of fun, food, and fascinating geological features, just outside of Perth, Australia. 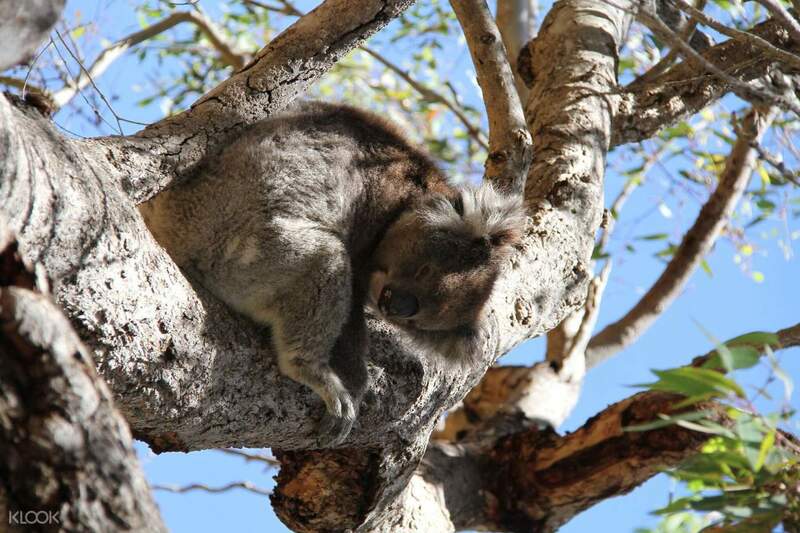 You'll depart from Perth in the morning and then head straight to Yanchep National Park in the North, where you'll be able to spot some famous Australian marsupials. 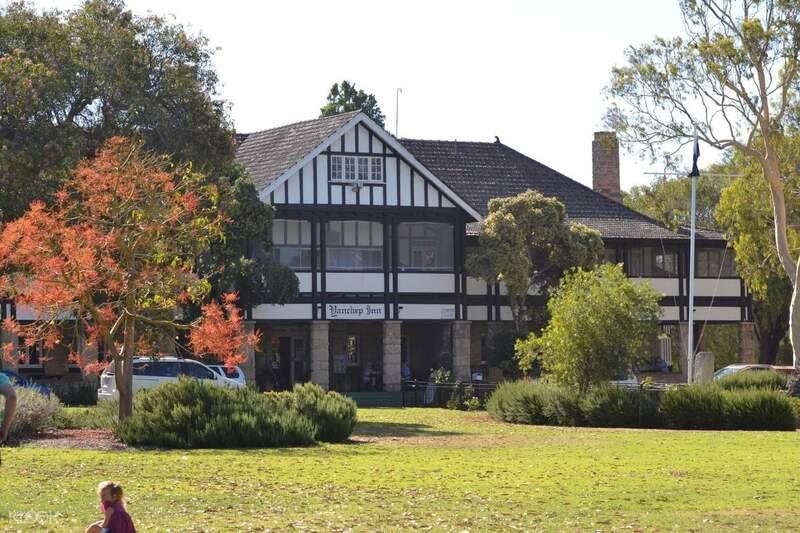 Koalas, wild kangaroos, particularly the Western Grey Kangaroo, and the park’s abundant bird life can be found everywhere and you'll learn about them as you go. Prepare your taste buds as you head to The Lobster Shack afterwards, a processing factory that lets you walk directly above incredible rows of live rock lobster. Here you can have lunch, and you can opt for a fish and chips lunch or upgrade to a half lobster and chips lunch on the day for $20. Once you've had your fill, it's off the Cervantes to see the famous pinnacles. 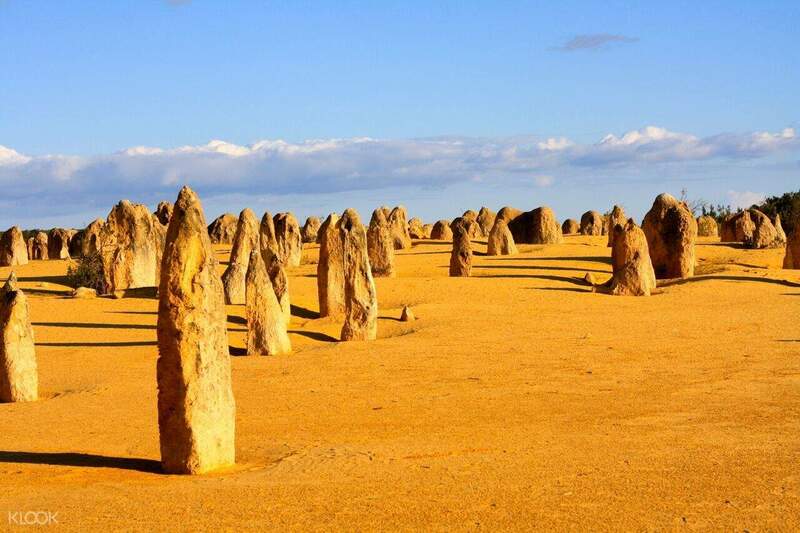 Found in the deserts of Nambung National Park, the Pinnacles are mysterious limestone formations that rise up to four meters. They were created from seashells thousands of years ago and there are many theories as to how they have come to exist. To continue in the sandy theme, you head to Lancelin, with its extensive sand dunes nearby. Here, you can grab one of the provided sandboards and go sandboarding down the sparkling white sand dunes – just like snowboarding! Your tour then returns to Perth in the evening. 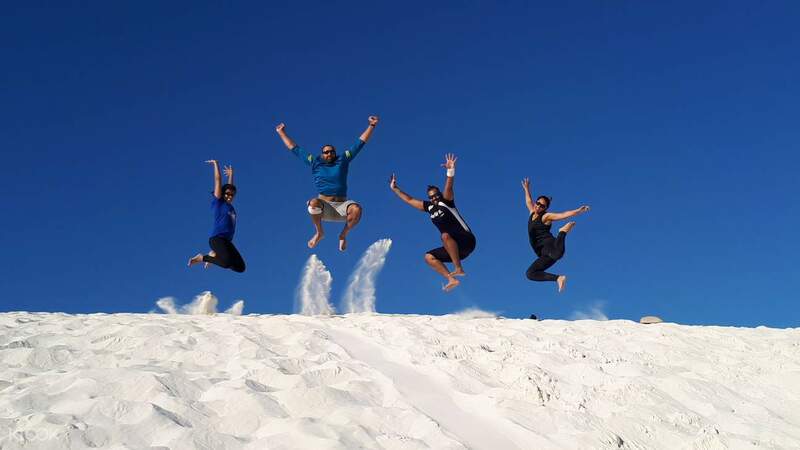 Enjoy sandboarding at the sparkling white sands of Lancelin! Our tour guide beck was amazing and very informative..all the time allocation for each activity was just perfect..able to see wild kangaroos, koalas. We learn a lot about the pinnacles. Please also try the lobster, u can upgrade the meal from fish and chips to lobster for just 15aud. Our tour guide beck was amazing and very informative..all the time allocation for each activity was just perfect..able to see wild kangaroos, koalas. We learn a lot about the pinnacles. Please also try the lobster, u can upgrade the meal from fish and chips to lobster for just 15aud. Day tour itinerary: 1. Lancelin sand dunes 2. Extra stop at Wanagarren Nature Reserve 3. Lunch at lobster shack 4. Pinnacles 5. Yanchep National Park with kangaroos and koalas I have enjoyed the day tour led by Carola, as she has a personal touch when she talks about the development of Perth and the spots we visited on the itinerary, while she has prepared photos and even lyrics of the music she shared with us, which broadened my horizons about the Australian culture and history. Carola is very caring as she explained to us it was too windy to do sandboarding, and included 2 extra stops for us to look at the beach and appreciate plants in the nature reserve. I think the amount of time should be extended for the Yanchep National Park visit, and maybe shorten the lunch time if possible. Overall it was a fruitful tour and the itinerary has suited my target places to be visited around Perth. Day tour itinerary: 1. Lancelin sand dunes 2. Extra stop at Wanagarren Nature Reserve 3. Lunch at lobster shack 4. Pinnacles 5. Yanchep National Park with kangaroos and koalas I have enjoyed the day tour led by Carola, as she has a personal touch when she talks about the development of Perth and the spots we visited on the itinerary, while she has prepared photos and even lyrics of the music she shared with us, which broadened my horizons about the Australian culture and history. Carola is very caring as she explained to us it was too windy to do sandboarding, and included 2 extra stops for us to look at the beach and appreciate plants in the nature reserve. I think the amount of time should be extended for the Yanchep National Park visit, and maybe shorten the lunch time if possible. Overall it was a fruitful tour and the itinerary has suited my target places to be visited around Perth. Sue is an incredible tour guide. Knowledgeable, friendly and helpful, she made sure everyone was well taken care of. You get to visit several places in one tour with a reasonable time frame. Sue is an incredible tour guide. Knowledgeable, friendly and helpful, she made sure everyone was well taken care of. You get to visit several places in one tour with a reasonable time frame. Very friendly and helpful guide (Sue) from Explore Tours Perth. Nice linked up with KLOOK. The tour was well covered. Very friendly and helpful guide (Sue) from Explore Tours Perth. Nice linked up with KLOOK. The tour was well covered. Great tour. Our guide Carola was informative, engaging and funny. Just be prepared for quite a lot of driving as the places are quite far out of Perth. Great tour. Our guide Carola was informative, engaging and funny. Just be prepared for quite a lot of driving as the places are quite far out of Perth. Well organised. Timing is just right. The air conditioning in the bus can be improved. Well organised. Timing is just right. The air conditioning in the bus can be improved. The tour guide Carola is very nice and professional. The tour size (18 persons) is good. The time is good enough for all 4 attractions. The tour guide Carola is very nice and professional. The tour size (18 persons) is good. The time is good enough for all 4 attractions. View is good. Hot weather with small coach without sunscreen cover & insufficient air conditioning wasn't good. We paid for lobster lunch, not fish & chips but by error without records in local tour company was a bit disappointed. However, the local tour company allows for money refund & let us get back money refund thru local travel agency when we got back. View is good. Hot weather with small coach without sunscreen cover & insufficient air conditioning wasn't good. We paid for lobster lunch, not fish & chips but by error without records in local tour company was a bit disappointed. However, the local tour company allows for money refund & let us get back money refund thru local travel agency when we got back.